Casa Lucinda est loin dessus de la moyenne avec 11 plafonds 'envolée, comptoirs en granit, planchers de marbre, appareils en acier inoxydable avec de l'eau filtrée / glace, vaisselle peinte à la main exquis, draps en coton égyptien, Matelas de roi, et de l'ameublement haut de gamme pour votre confort. Nous aimons le meilleur de tout et notre condo reflète cette! Profitez d'un verre de vin le soir de notre patio ombragé privé, et permettent à la beauté et les oiseaux dans le parc adjacent à vous enchanter ... ou vous détendre sur la terrasse vue sur l'océan, dans la zone commune tropicale avec d'autres clients au Sueno Del Mar et partager la forts de votre journée. Sueno Del Mar est un développement fermée avec 24 heures de sécurité. Magnifique aménagement paysager et l'architecture avec des vues spectaculaires et la situation parfaite en font la destination la plus souhaitable à Huatulco. Facile à pied de plusieurs restaurants et supermarchés ... et à seulement quelques pas de la plage. We stayed at Casa Lucinda in Sueno Del Mar the first 2 weeks of June. We found this property to be well cared for, with friendly staff. Martha and her staff are on top of everything;gardening,maintenance,security. We loved the location ,close to Chahue Bay as well as the Chedauri and a short walk to just about anywhere in Crucecita and Santa Cruz. We used the services of Adelino for transportation and it was great service and a nice guy too. The condo was well equipped with everything you need enjoy a relaxing get away and prepare nice meal, (we used the grill, in common area by pool, quite often and found it to be well maintained and convenient). We love to cook, however, there are many good restaurants very close by. We enjoyed our visit here very much and will most certainly return, for sure. Have stayed Sueńo Del Mar many times. Property and this unit very well maintained. Good to see you had a good time. Thank you for the review. Hope to see you back soon. 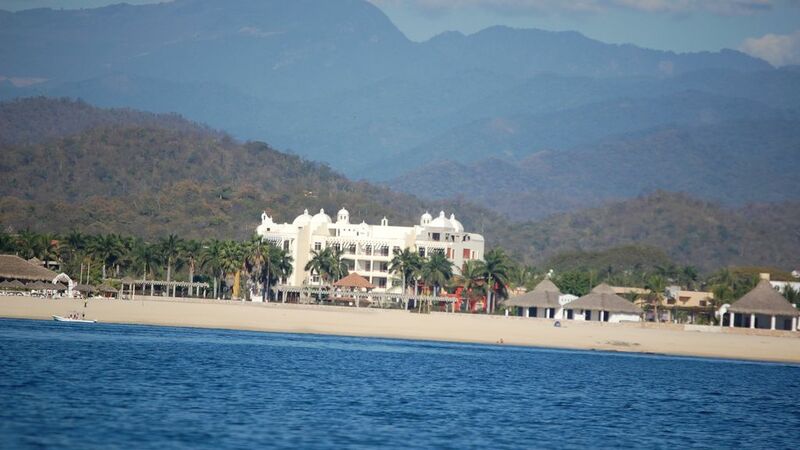 I found Casa Lucinda by doing a search for a one bedroom condo on the beach in Huatulco. I really feel lucky that this popped up. It’s truly everything they say it is. The unit was lovely and well equipped. It was so nice to sit on the balcony early in the morning and late at night. The Sueno del Mar complex was just beautiful. I appreciated that it was safe and secured. I loved all the flowers, and how clean everything was. The pool was nice, quiet, and such a pretty setting. The waves on the beach made it too rough for swimming, but we enjoyed having it just a short walk away. We walked to Santa Cruz and La Crucecita every day and enjoyed the many restaurants. It was so convenient to have a grocery store just up the street. Our highlight of the trip was an all-day snorkel excursion with Hurricane Divers. The beaches are gorgeous. I must add that the property owners are so fortunate to have Pauline for their condo manager-such a sweet lady! Part of the experience of staying at a vacation rental is the personality of the property manager and Pauline, our manager, was absolutely delightful. Yes, we enjoyed the modern kitchen, beachy location, peaceful afternoons, granite showers...but we also enjoyed the feeling of knowing we were in good hands with Pauline. The condo was lovely, spacious and had all the amenities we wanted. The only thing preventing me from giving it the full rating was at night you could hear nearby nightclubs. Once you closed the windows, it was fine, and the plethora of fans kept the place cool so it was completely manageable. Overall, a lovely and restful experience. Nous sommes très près de Marina Chahue. 5 à 7 minutes de marche à Super Che (épicerie), et de nombreux restaurants. Il ya 2 clubs de plage avec de bons restaurants sur la plage le long de côté américain. The weekly rate is approx. 5% less for the second week and approx. 10% less for the third week. Electricity is included up to 100kw per week (which is a lot!). If you go over this limit, we charge $5 Pesos per kilowatt.